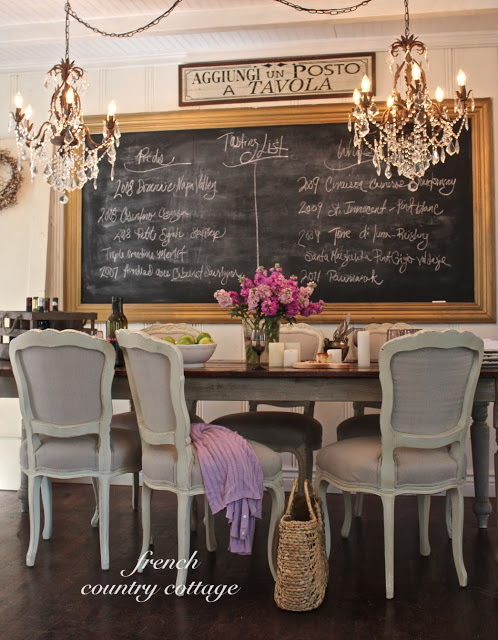 My name is Courtney and I blog over at French Country Cottage . sharing a little bit about how I found my style. Well, I am a mix for sure. I never seem to be able to fit into any one category. 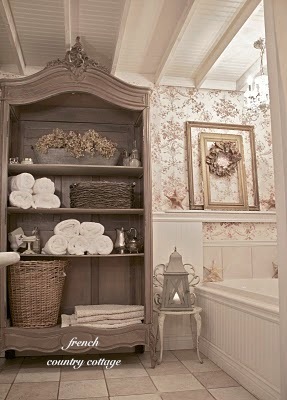 I found that I loved the simple charming cottage style decor as well. 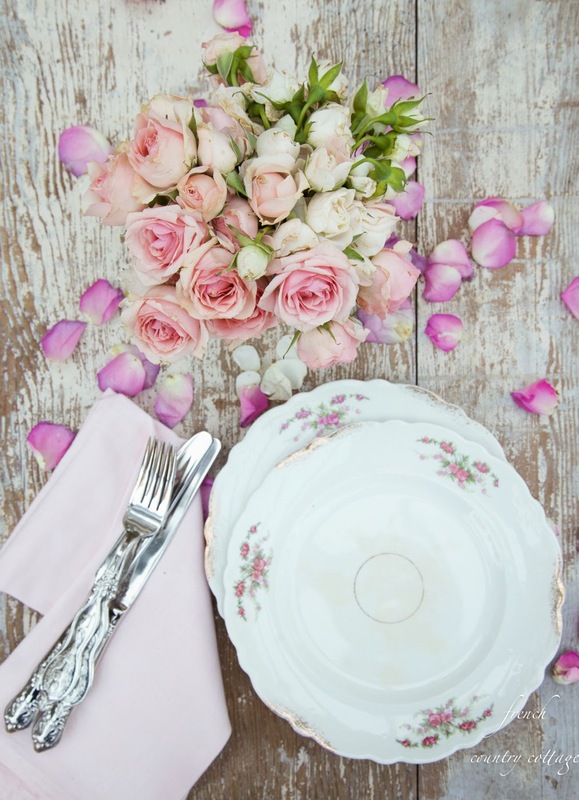 But then there is my shabby romantic side- lots of florals and ticking stripes and bouquets. and drooled over the furniture, the patterns and colors and details. 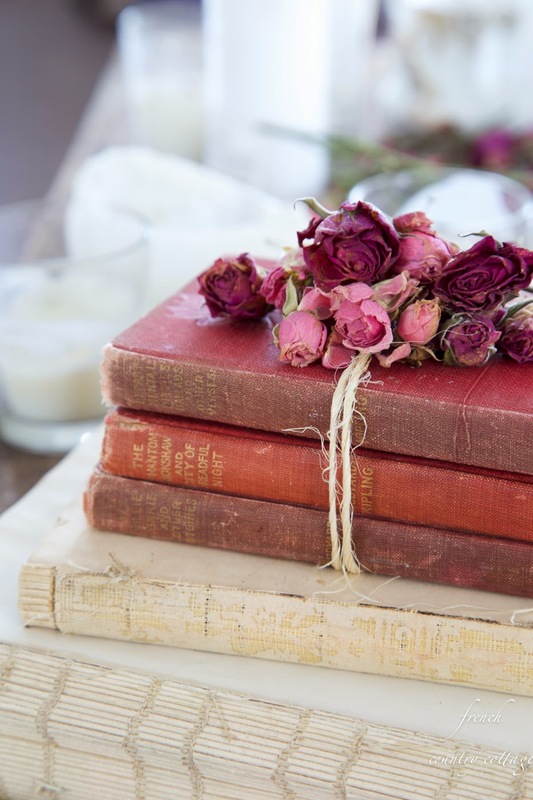 I have so many finds that I treasure in my home it is hard to choose just one. But I would say that it might be my buffet deux corps in the living room. It was one of those finds that truly, absolutely was meant to be. a patina that this has. It is absolutely one of my most treasured pieces. and love what you see- even if it's not on trend or it's too white or it's too colorful, etc. If it makes you happy- it's perfect. 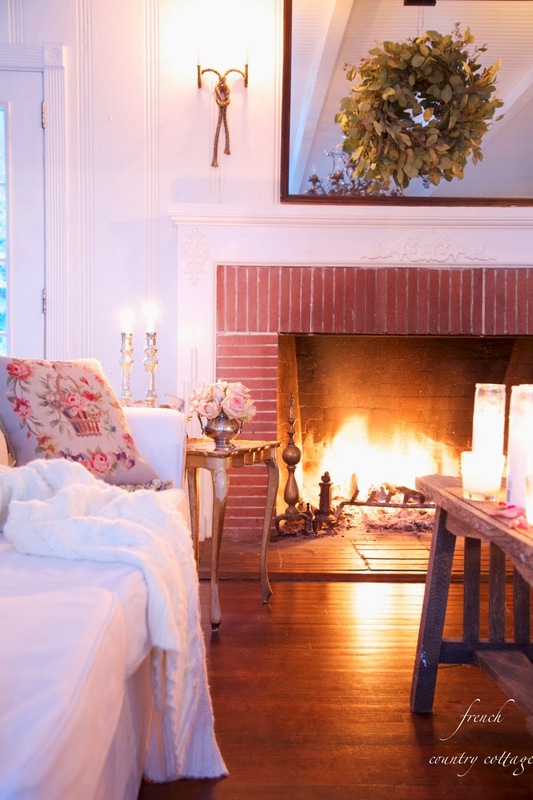 bring such charm and really make the room feel finished. Yes, I am pretty big on bling. They are a definite favorite element to add to a room for me. Thank you so much Pamela for having me over to your place today! 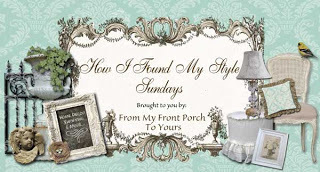 It was so much fun to share more about my style with your readers! Stop by and say hello over at my blog sometime too! Courtney thank you so very much for stopping by today and sharing your advice on creating a beautiful home with us all. You are a true inspiration to me. I love Courtney's decorating style. That bedroom with the red checked settee is fabulous! Thanks for sharing. Courtney's home is a dream come true! Great feature. Have followed you for awhile. LOVE your furniture-especially the dark wood pieces. Very beautiful!! I have followed you both for awhile and love both of your homes. I love seeing all of the fresh flowers mixed with the home decor. I love Courtney's blog and decorating style! So nice to read her feature here today, Pamela. Courtney is a great choice. I have followed Courtney for a long time and love her style. I love her view to decorate with what you love. That is what makes a home beautiful. 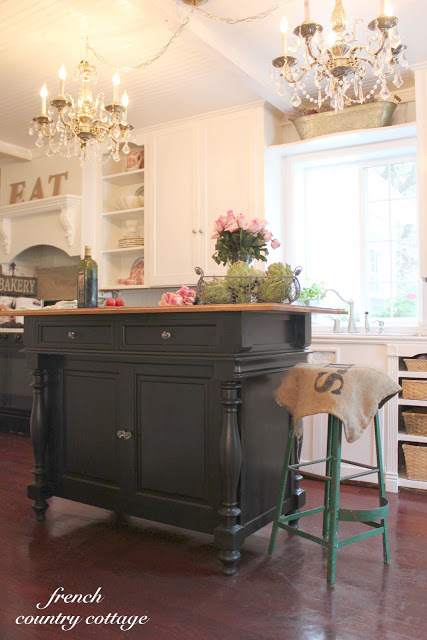 I just swoon over pictures of her beautiful home. 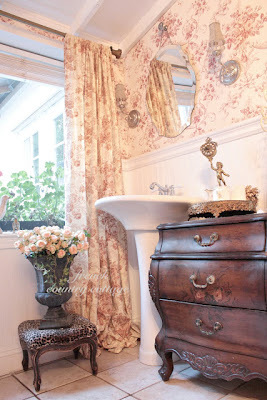 Courtney has so much beauty and inspiration going on in her lovely home! It's always a pleasure to visit her blog. Great feature today! Great post! Thanks Pamela for having Courtney for this post on finding your style. Pamela, I absolutely Love coming to your front porch every Sunday! Thank you for inviting your friends to share! Great post on finding your style. Courtney's style is just wonderful~ Great home! 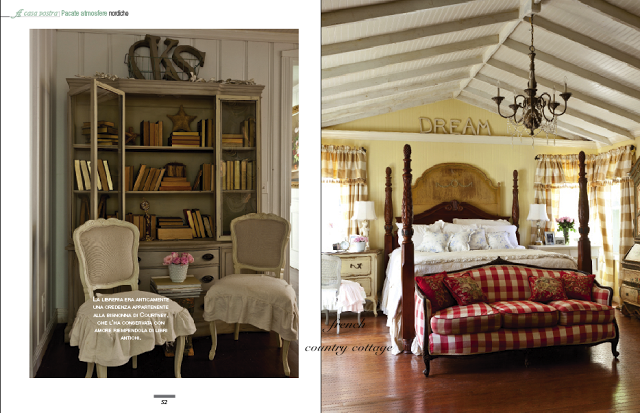 Absolutely perfect, I am the very same way - there's charm in all of the 'cottage styles'. Your tips are perfect and have always enjoyed touring your home! Beautiful post! Thank you, Courtney and Pamela! I've always admired Courtney's style. So beautiful, soft and elegant. I agree, if a room makes you feel happy then you've found your style. It's wonderful that we're all so different. 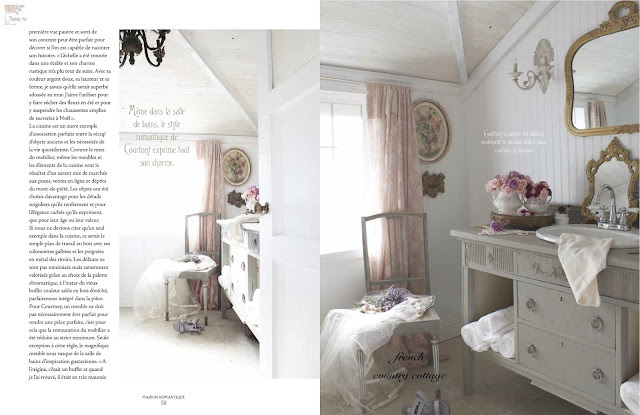 I love so many french and cottage styles with a bit of industrial too! Everyone has their unique way of decorating. A room where you surround yourself with the things you love.